If you have an ambition to create your own fruit tree, then this is the time to learn how to graft. Practical courses where you can learn to graft a scion (a cutting) from your chosen variety of an apple or pear onto a rootstock and so produce a new tree are offered by many of the regional fruit groups and societies now active all over Britain. In this way you will be able acquire your own tree of a variety that you covert in a friend’s garden or perpetuate a cherished tree that is not going to last much longer. With this skill mastered, it is possible to expand your collection, rescue an old almost forgotten apple or pear and learn a craft that has been part of orchards and country life for millennia. Saturday 22 February 2014 at Suffolk Wild Life Trust Foxburrow Farm; 10am to 3.30pm approx. Saturday 1 March 2014 Suffolk Wild Life Trust Redgrave and Lopham Fen, 10am to 3.30pm approx. Such fruit groups and organisations often sell the rootstooks that you need and the tools, such as grafting knives, binding tape and so on, as well make available scion wood of varieties. It is possible to buy scion wood yourself and of most of the apple and pear varieties in the National Fruit Collection at Brogdale are available and can be obtained from FAST, the organisation responsible for maintenance of the Collection. 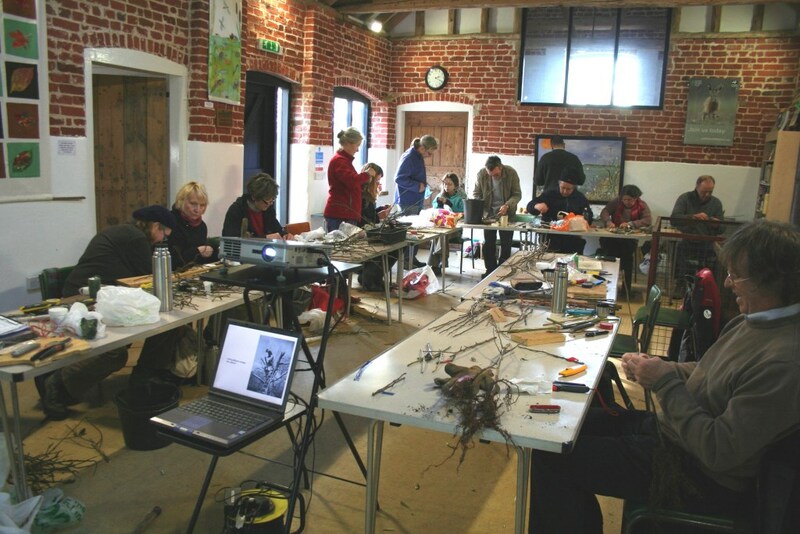 There are still a few places available for the grafting course this Sunday – 26 January 2014 from 10.00 am to 4.00 pm at the Green Dragon Eco and Rare Breeds Farm, Claydon Rd, Hogshaw, Bucks. MK18 3LA. As well as learning how to graft, you also get to take home three trees you will have made yourself. You can select from a wide range of varieties of heritage fruits and the size of tree from dwarf to full size. You can also purchase rootstocks and other supplies such as stem-tape and grafting wax. It promises to be a fascinating morning again, learning the theory and then the practice of this ancient art. The morning session provides an opportunity for everyone to graft their own apple and pear trees, which they get to take away. As last year, the session will be hosted by one of our local members in central Hythe, details at the time of booking. Last year’s course was fully subscribed and it is again on a first come basis. Cost £15.00.